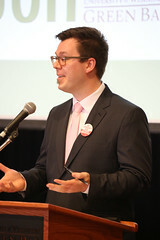 The call for nominations began back in January. 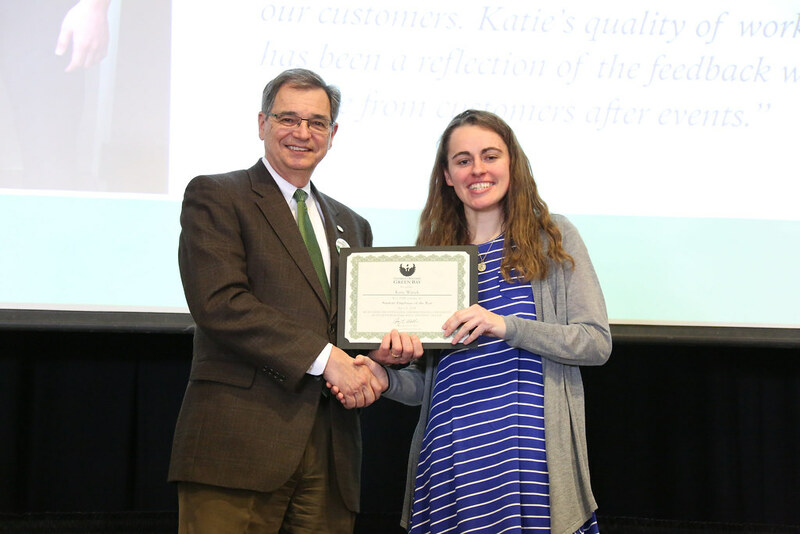 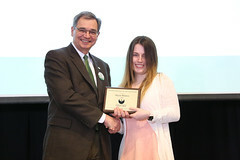 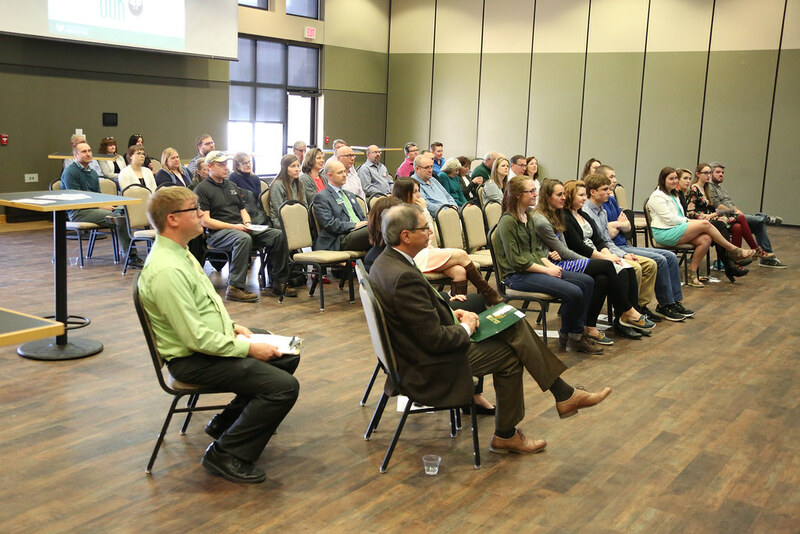 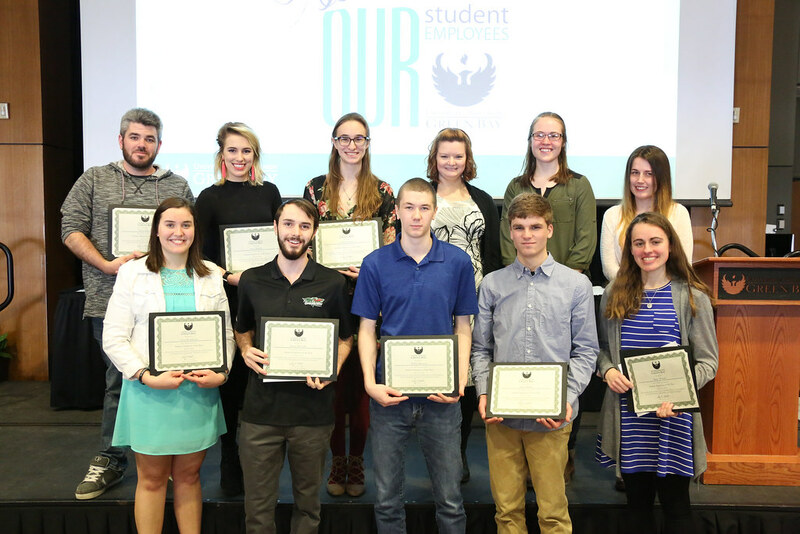 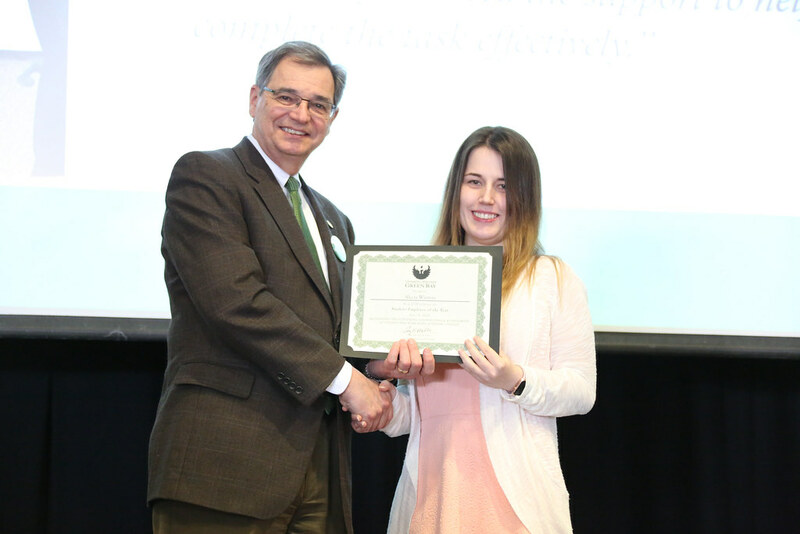 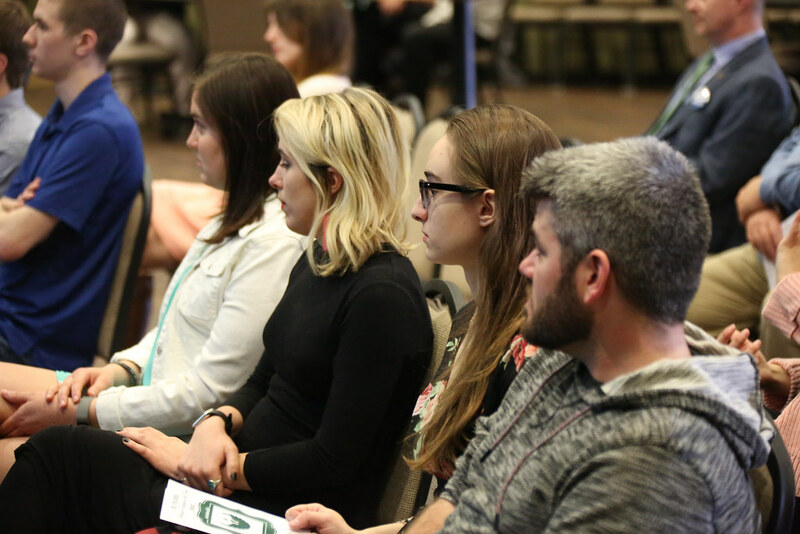 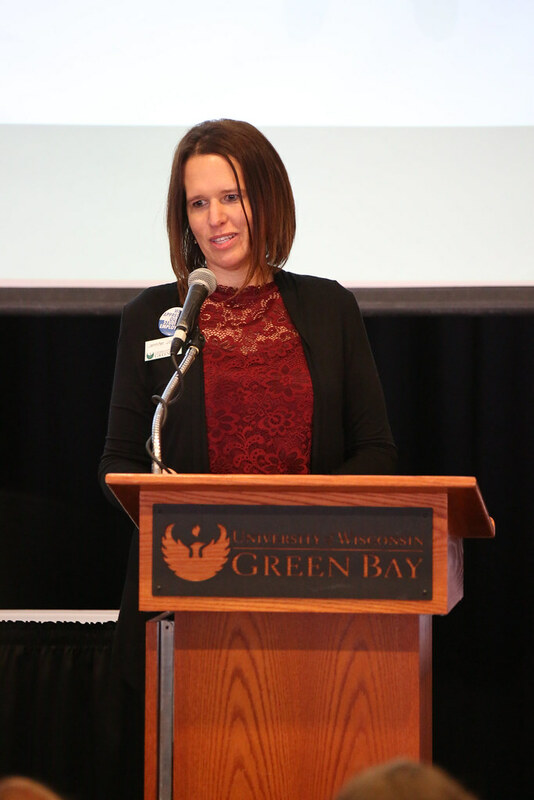 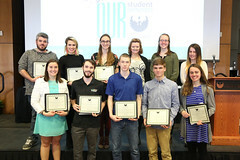 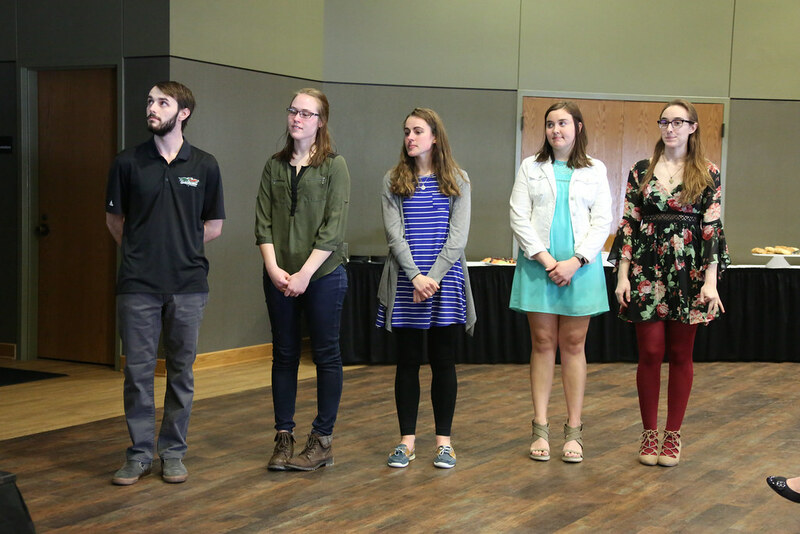 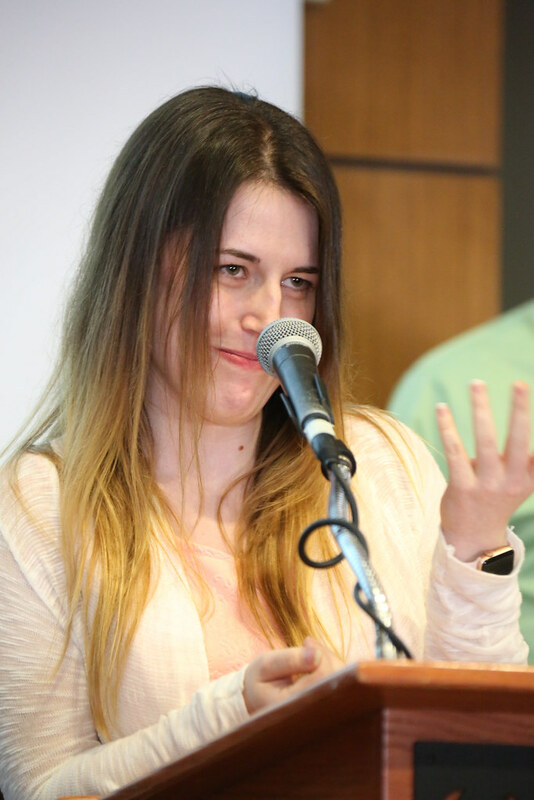 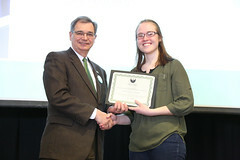 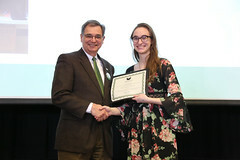 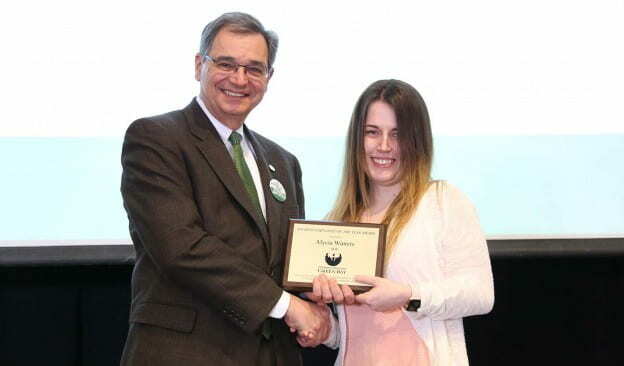 On April 9, 2018, 11 students were recognized, and one — Alycia Winters — was named UW-Green Bay’s Student Employee of the Year. 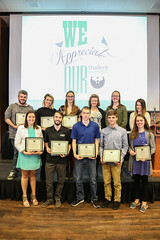 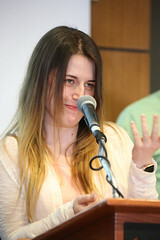 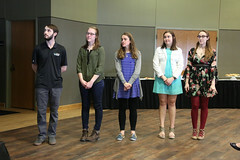 Student nominations were judged by a panel of three university faculty and staff who rated on a scale from 1 to 5 in the areas of reliability, quality of work, initiative, professionalism and uniqueness of contribution. 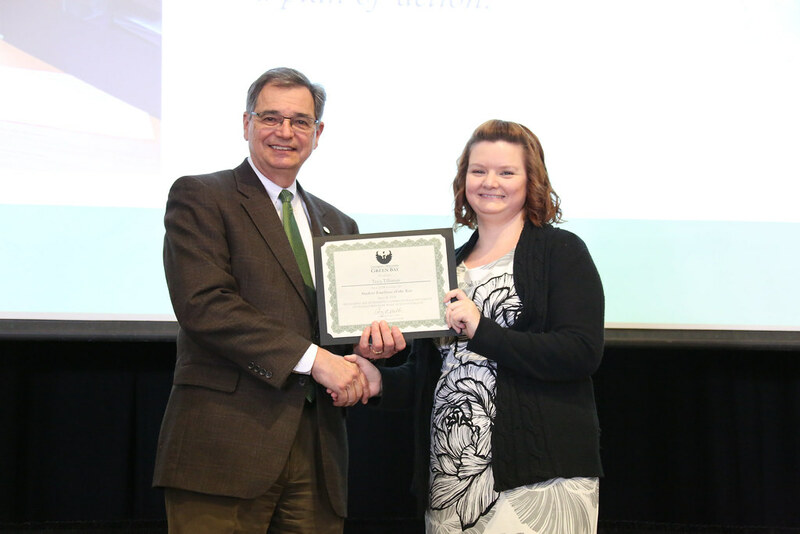 Winters works as an office assistant for the Lifelong Learning Institute (LLI) and Continuing Professional Education. 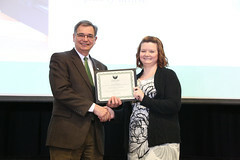 She was nominated by Matt Nieman and Susan Pike. While working in LLI, she runs rosters for 150+ classes for each semester, helps with the registration of more than 1,000 members in the Ungerboeck Software, manages issues with venues and assists with daily deposits, among other duties. 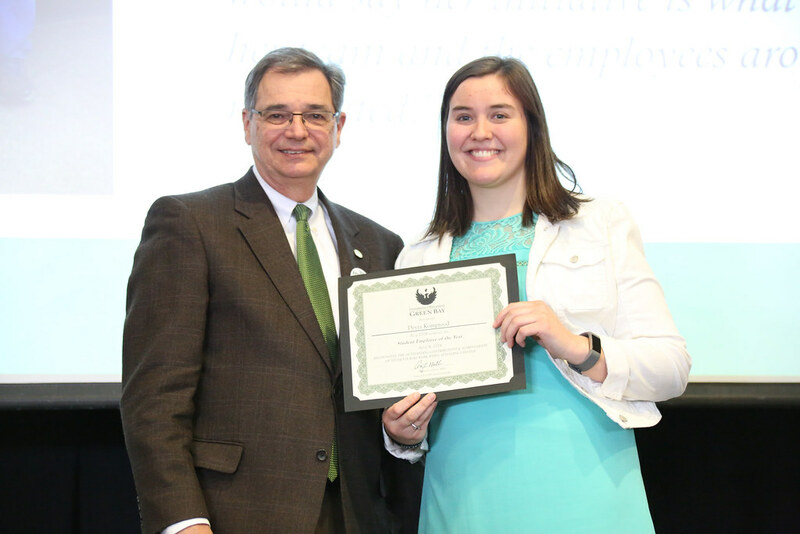 For Continuing Professional Education, she creates handouts for trainings, inputs evaluations, helps with registration and other day-to-day office duties. 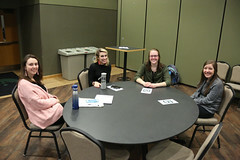 Acting Assistant Vice Chancellor for Enrollment, Jen Jones, was the guest speaker for the presentation in the Phoenix Rooms of the University Union. 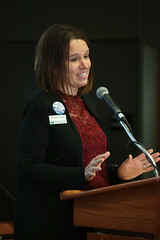 Jones has worked 18-plus years at UW-Green Bay in her post-graduate experience. She reflected back on her experience as a student worker during her time as a UW-Green Bay student. 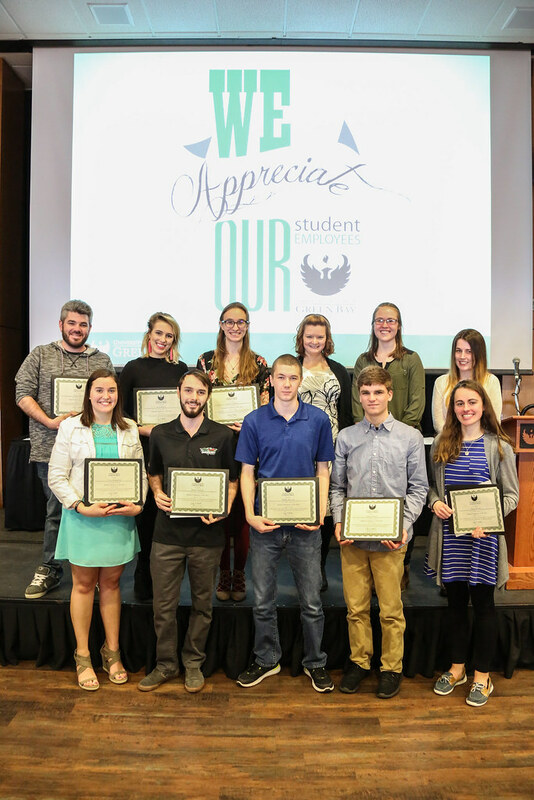 Students at UW-Green Bay have worked more than 177,000 hours through from September 2017 through March 31, 2108. 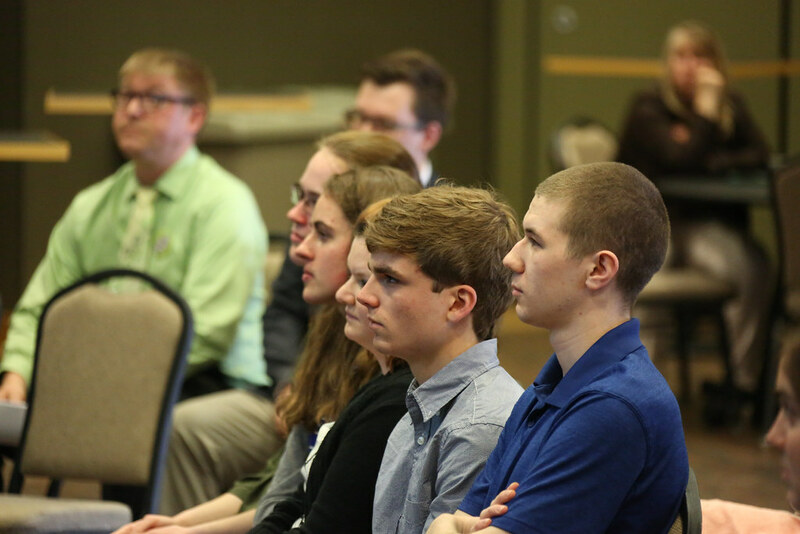 Of those students, 972 work in 1,273 appointed jobs (some work more than one position) and average about eight hours per week at those jobs. 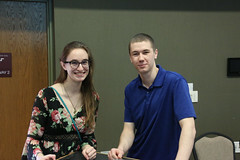 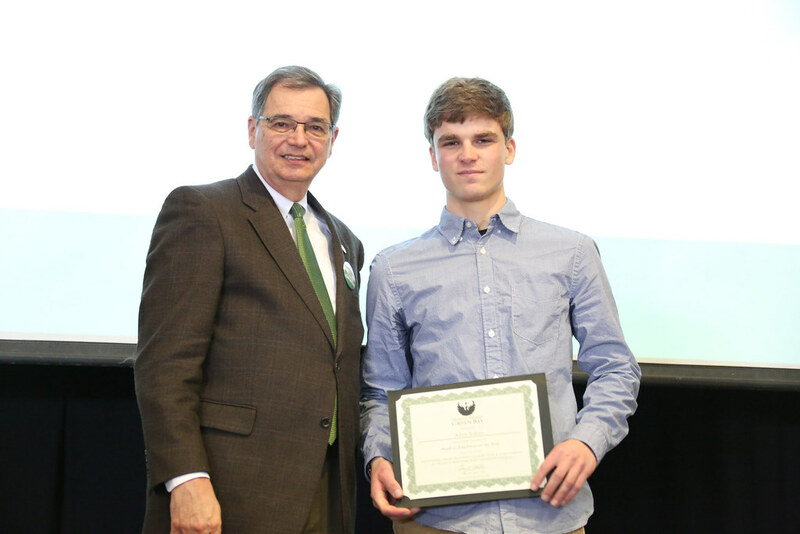 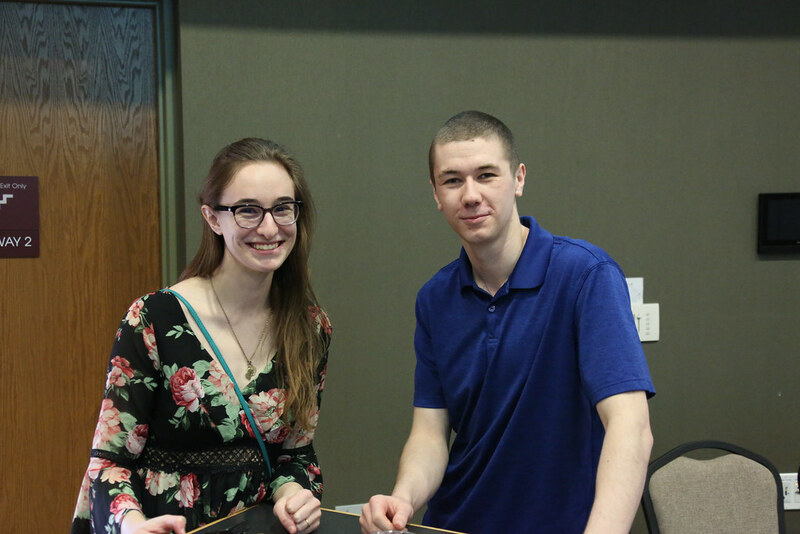 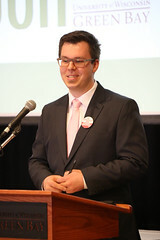 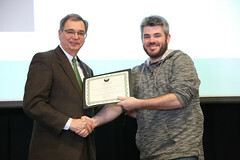 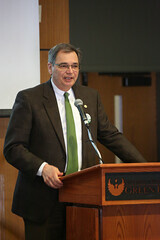 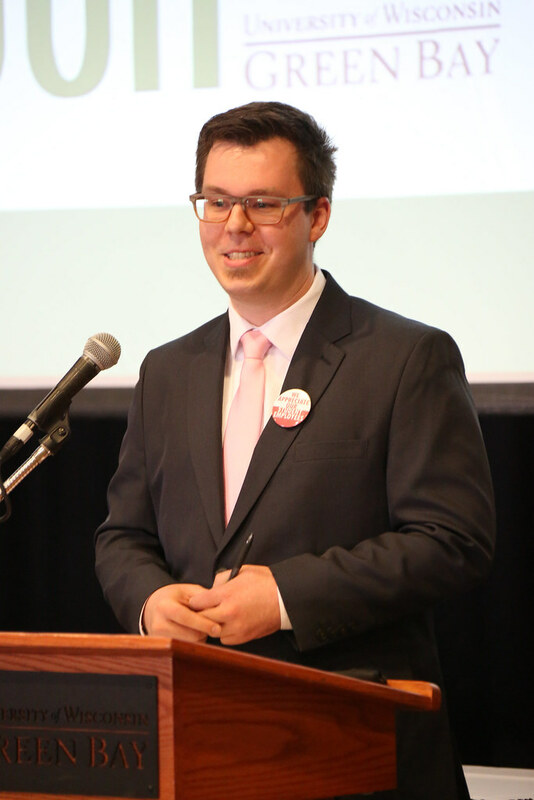 Joe Schoenebeck served as emcee and Chancellor Gary L. Miller and Student Employment and Scholarship Coordinator Allen Voelker, each spoke and handed out the awards to the students. 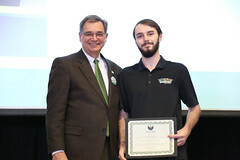 Trever Allcock, resident assistant for Residence Life, nominated by Nicole Kurth. Devra Komprood, building manager in the University Union, nominated by Andy Wenig. 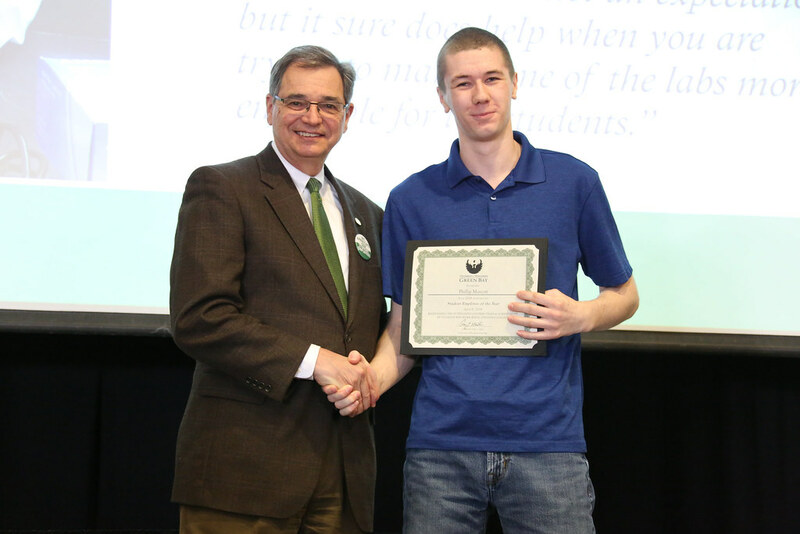 Phillip Marcott, lab assistant, Natural and Applied Sciences, nominated by Joe Schoenebeck. 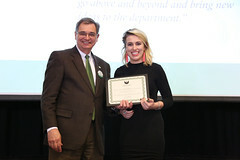 Amanda Wery, admission operations assistant in the Office of Admissions and as an office assistant in the Purchasing Office.